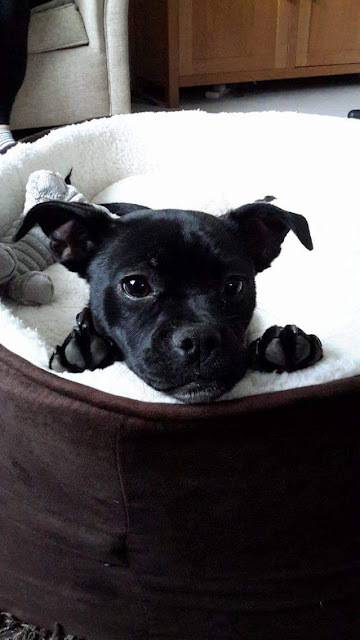 She's a 6 month old rescued French Bulldog X Jack Russell, so a couch-potato with a feisty side. She's dead cute, quite smart and snores like a trooper. She already sits when asked and we've taught her to lay down too. She needs some socialising skills but it already feels like she's made herself at home. 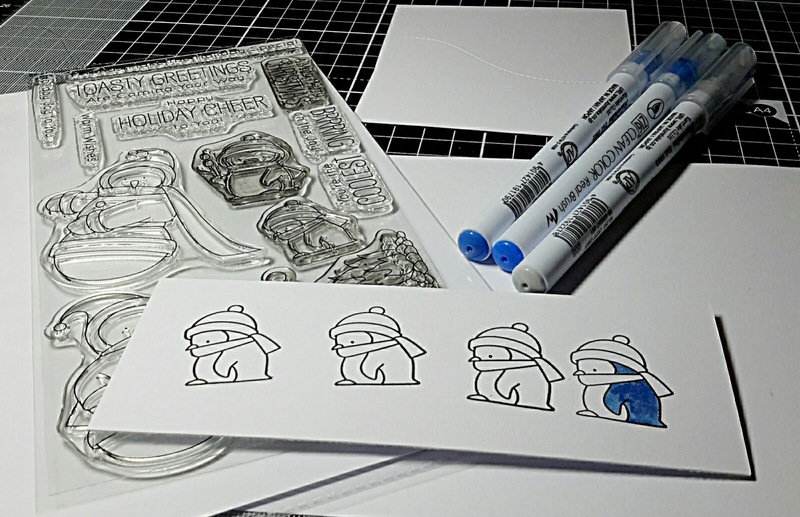 So my card today feature the uber cute, yet slightly sad looking little penguin from the 'Toasty Greetings' stamp set from MFT. I stamped him (or her) out 4 times on a scrap of card, coloured them in with my Zigs and fussy cut. 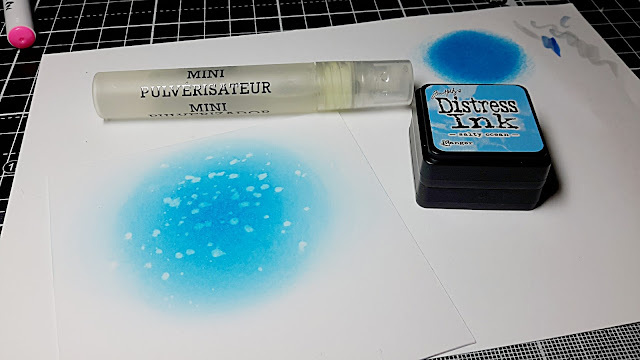 I then created a simple, circlular-shaped snowy background by applying Salty Ocean distress ink with a dauber (far easier control and less chance of blender lines) and flicked water droplets before blotting with a tissue. I added a stitched border hill and then 3 of the little fellas with foam pads. Right, can't stop, I've got a hound to tickle. 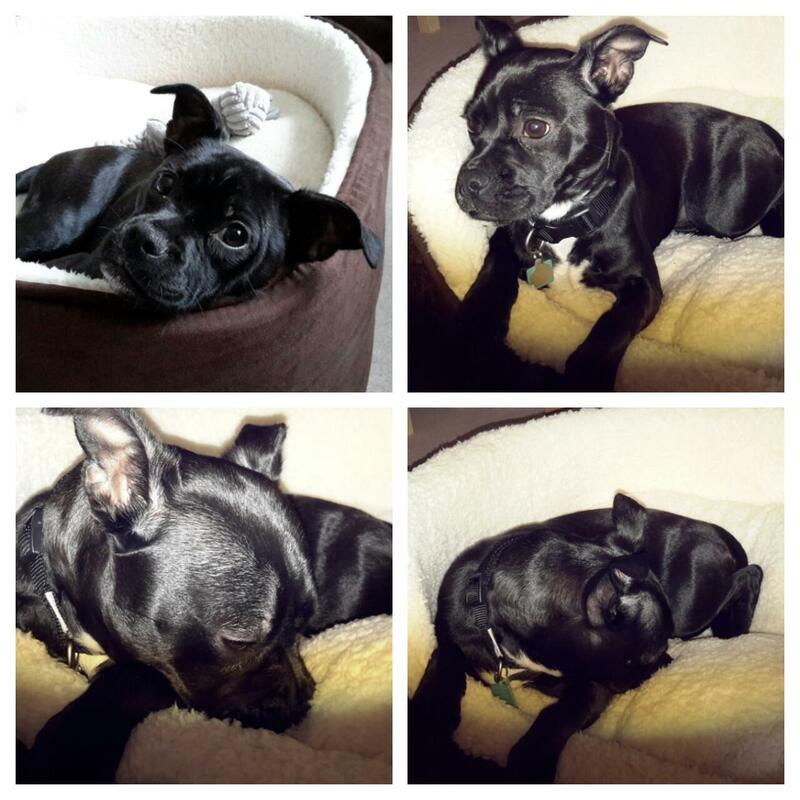 Hi Jane, Maddie is adorable, and yes she looks settled, she will be so much fun. Maddie is just so sweet, I absolutely love her! Good that you playing it low-key, the socializing will come soon enough, no reason to confuse the little sweetie pie! Also love your card, penguins are always such fun and festive as is your card! Super cute make Jane, the little penguins climbing the snowy hill is adorable and love your background. As for Miss Maddie..she is a little cutie and looks perfectly content..